APRIL tenth, 1912 – A day tinged with sadness for the RMS Olympic. She put in to New York for the last time as the Ship of Superlatives, or so she thought. The next White Star Line leviathan to dock here would simultaneously be announcing her arrival as the largest vessel in the world. And she had a name to match – Titanic. In just seven days the Olympic would be eclipsed, her reign at an end. She would slip into her sister’s shadow and remain there forever more. When next the elder vessel visited, it would be practically as an ordinary ship of the line. But as it turned out, Olympic’s ocean dominance would be unexpectedly extended. Her crown would pass in 1912, not to her new partner, but to the Imperator. Yet she would remain the largest British-built steamer for another two years, until the coming of the great Cunarder, Aquitania. A year of dominance was draining to its last drop of glory that early April day – and the New York press realised it. The Times of that great city noted on its front page the next day: ‘As the Olympic steamed into New York harbour, her sister ship the Titanic started on her maiden voyage from Southampton for this city. A safe prediction it seemed, but one to be proven tragically wrong within just a few days. When the above account appeared on April 11, 1912, Titanic was already due at Queenstown for her last port of call. Immortality beckoned – but in a much greater sense than any expected. And thus it might even be said that the Olympic was indeed overshadowed, and days earlier than imagined. The above photograph was taken on April 10, 1912, when the Olympic docked in New York in the ‘late afternoon’ by press commentary. But another account suggested 2.30pm, which would mean the Titanic was just taking her leave of Cherbourg. 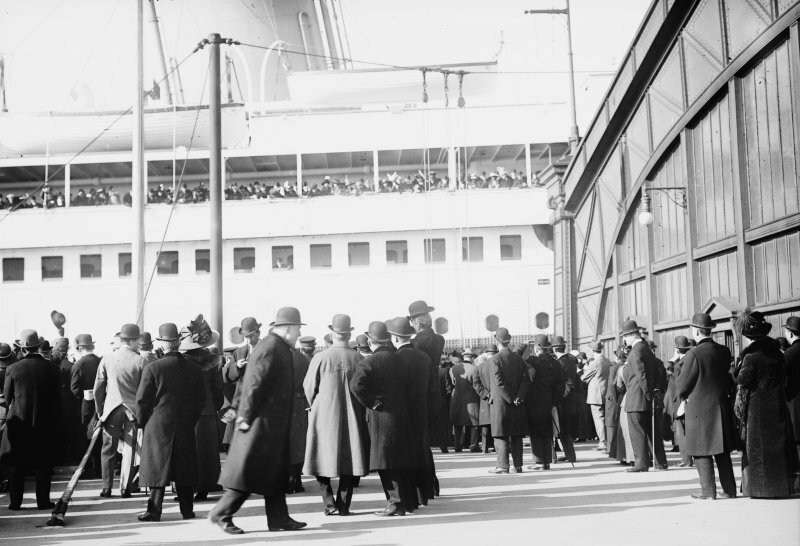 Many pictures show the Titanic’s departure from Southampton – this is the only one known to depict Olympic’s arrival in New York on the same day. Excited passengers crowd her open promenade along A Deck on the starboard side. They smile beneath the imposing forward funnel, and lifeboats one and three. On the other side of the world, passengers had been doing exactly the same in anticipation of their own departure. ‘To travel hopefully is better than to arrive,’ wrote Robert Louis Stevenson more than thirty years earlier, in 1881. In their particular case he was dead wrong. So, overlaid with a sense of regret, what sort of mundane voyage, rather than maiden voyage, did the Olympic experience that early April 1912? It had begun with Olympic out of the limelight, with White Star Line advertising suggesting that the first shall be last and the last shall be first. The Titanic was three inches longer and 1,005 gross tons larger than the pathfinder vessel of the Olympic class, the one so loudly heralded and celebrated upon her launch and maiden voyage. Who chooses to take the valedictory voyage of the outgoing champion, rather than waiting a week for the boasting rights of travelling on the virginal trip of the new wonder of the age? Quite a few people, as it happens. When the Olympic sailed from Southampton on Wednesday April 3, she took with her 2,000 passengers, or half as many again as would populate Titanic. Of course, the emigrant steerage will take any ship, but it was very heartening that there were nearly 300 in the first cabin, and nearly 600 in second class. The first class passengers included William Ellis Corey, ex-President of the United States Steel Corporation, and a close friend and ally of J. P. Morgan, whose IMM combine ultimately owned both the Olympic and Titanic. Corey’s life was eerily akin to that of John Jacob Astor, then embarking on the sister. Corey had been the first man in history to be paid the stupendous annual salary of $100,000 – a milestone reached in 1903. Two years later he abandoned his wife Laura after seeing Miss Maybell Gilman, 23, acting in The Mocking Bird. He moved to New York from Pittsburgh, and consented to his wife of 23 years divorcing him the following year in Reno, following a $1 million settlement. 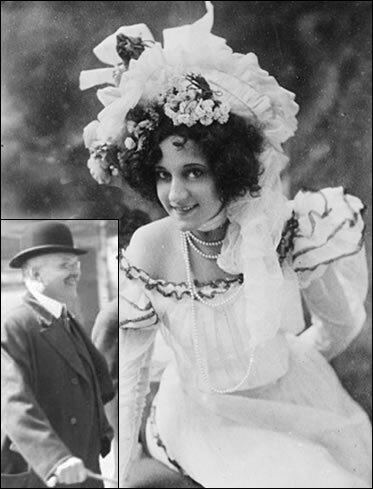 Corey, as subsequently with Astor, found it hard to get a minister to marry him, and was frozen out of Pittsburgh society, but they managed to wed in 1907. The couple, above, then took a mansion on Fifth Avenue – close to the Astor pile. 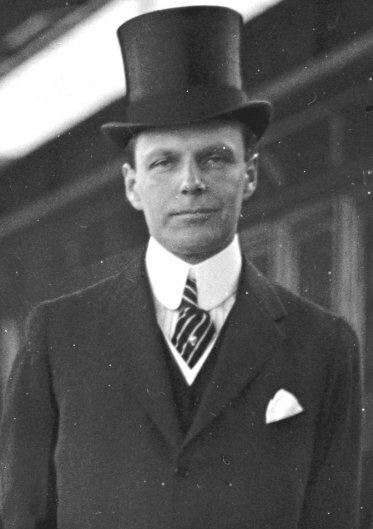 Also on board for this April 1912 Atlantic crossing by the Olympic was George W. Vanderbilt, above – whose direct comparison on the Titanic would perhaps be to Benjamin Guggenheim. Unlike the latter however, George was travelling with his wife. George, 49, was brother to Alfred Gwynn Vanderbilt, who three years later would be lost on the torpedoed Lusitania. George Vanderbilt and his wife Edith had reputedly booked passage on the Titanic but changed their booking to travel a week earlier - leaving valet Fred Wheeler to follow a week later with the baggage by the original intention. Wheeler was lost. One source says the Vanderbilts cancelled Titanic on April 8, but this is much too late if they sailed on April 3. There are apocryphal and unreliable stories about why the Vanderbilts should have changed their plans. One newspaper would subsequently refer to a ‘premonition’ by Mrs. Vanderbilt's sister, Susan, while another supposedly referred to strenuous opposition to any trip on a maiden voyage by the Vanderbilt matriarch, only to discover after publication that she had been long dead. On arrival by Olympic, Vanderbilt told the newspapers that he, Edith and their twelve-year-old daughter Cornelia had enjoyed a motoring holiday in Europe. Also disembarking was another George - George Griswold Haven, above, son of the immensely wealthy banker of the same name who had died four years earlier. G.G. Junior had gone into railroads, then the stock exchange, becoming a director of the Metropolitan opera as well as a host of commercial corporations. 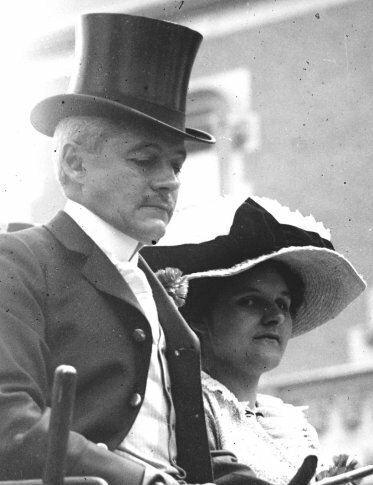 He and wife Elizabeth were at the height of their social powers – but at the beginning of 1924 Haven would suffer complete nervous collapse and withdraw from his business interests. He died by his own hand in July 1925. William Phillips, Secretary of the American Embassy in London, above, was preparing to disembark, carrying a diplomatic pouch. He may even have known that Robert Bacon, US Ambassador to France, was due to return by Titanic, although he would cancel his passage and sail a week later. It was as well Phillips had not been similarly delayed. A career diplomat, he would shortly go on to work closely with Woodrow Wilson and to be involved in the latter’s 14-point peace plan following the Great European War. Not one of them would have fancied helping to row a lifeboat in the dark of the freezing North Atlantic night. How would Claude Casimir-Perrier, a son of the late President of France, have done in any overwhelming moment? What about the young Fuller Chenery of Minneola, New York, a boy in first class without family, who had boarded at Cherbourg? Chenery had brought with him ‘two small monkeys, a pair of big pigeons, three dogs and a parrot.’ This undergraduate Dr Doolittle ‘has been at school in Europe,’ declared the press, as if in semi-apologetic explanation of his menagerie. Would he have abandoned them all if his vessel had struck the midnight ice? He was aged only 12 – a fact confirmed by a unique court case three years later, by which time Chenery had turned sixteen. His father Horace, a wealthy banker from Belfast, Maine, consented to another acting as his guardian. ‘FATHER GIVES UP RICH BOY,’ screamed the headline. ‘Chenery is 16 years old and is in receipt of an income of €36,000 from the estate of his grandfather and other sources.’ His mother had died when he was an infant, and he had resided with an aunt, whose death brought about the guardianship issue. Thereafter the lad immediately took the opportunity to change his name to George A. Fuller, the name of his benevolent grandfather, the architect-inventor whose firm built the revolutionary Flatiron Building. The lad was fated to die in 1931, not yet 32. The New York Times added: ‘It was reported when the liner arrived that two or three of the passengers were suspected of being professional gamblers. When the White Star liner Olympic from Southampton reached her pier yesterday, it was learned that Barton G. Harvey, one of the saloon passengers [first class, boarded at Southampton] had died on board yesterday morning of paralysis of the heart. A report was circulated that there was something strange about the death of Mr Harvey, who it was said had spent much of his time on the way across in the smoking room. There was no foundation for any such report, Dr. Beaumont, the Olympic’s surgeon, assured inquirers. He said that Mr Harvey became suddenly ill at 5 o’clock yesterday morning. Mr Harvey lived in the West. He was about [illegible, passenger list suggests 46] years old. There seems to be an implication in the above that the unfortunate Mr Harvey might have been under stress as a result of spending much of his time in the smoking room – where the card sharps could hold sway. Perhaps the same passengers pointing out the professional gamblers were those circulating reports about their alleged prey. 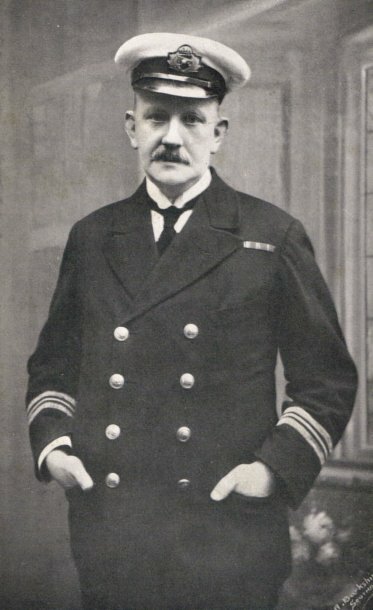 For Dr Beaumont, above, it was an unusual occurrence, but not as unusual as would strike on the return trip, when he would find himself preparing 200 emergency beds for passengers who never came. Lord Hyde, son of the Early of Clarendon, and his brother-in-law, Lord Somers, were among the most interesting passengers on the big liner, for they are leaving England to start life anew in Canada as fruit farmers. The new taxes of Lloyd George brought it about, Lord Somers says. 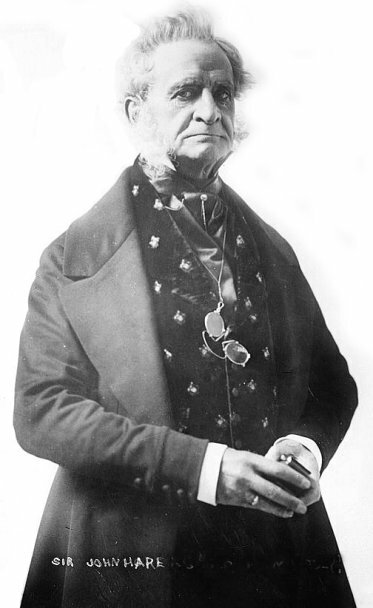 Lord Hyde said that he expected to spend his life in Canada. With Lady Hyde and their two children he is going to Pickering, a little town about twenty miles away from Ottawa. Lord Hyde has bought a farm of about 200 acres near Pickering. Lord Hyde said he intended to become a Canadian farmer, and that fruit was to be his speciality. But the blue bloods were not long for Canada, even though they bequeathed an estate named Clarendon Wood. Within two years, 35-year-old Hyde’s father died and he succeeded as the sixth Earl of Clarendon, surrendering his fruit farm for the attractions of London. 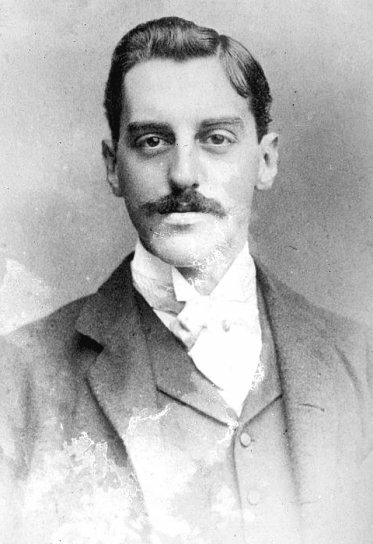 The impetuous Lord Somers, now closely connected to real wealth – and before the introduction of income tax, whatever their grumbles – also opted to call it a day and sail home. They never returned to Canada. The Lord Hyde of 1912 died in December 1955 at age 78. He was then Lord Chamberlain to King George the sixth, and had been Governor General of South Africa. Not a bad windfall, even if he left it to someone else to be the prime picker of Pickering. The White Star Line office at the bottom of Broadway would play out its own tragedy to a full house of distraught relatives within days. Yet 85 years later, Titanic would be a name in lights on the Great White Way, as entertainment, not reality. The unimaginable for arriving souls on the Olympic on April 10, 1912, would prove to be even more unimaginable than that. An unforeseen sinking in their time would transmogrify into a global cultural phenomenon in ours. It was bigger than that, and by a long chalk. Note: A full passenger list for this April 3-10 voyage by Olympic from Southampton to New York, transcribed by Christian Cody, can be consulted on the THS website. Senan Molony is the author of Titanic Scandal: The Trial of the Mount Temple.